A further usability issue is that the pedal varies current from 5 to 200A, it is not possible to set the maximum current when the pedal is fully depressed. 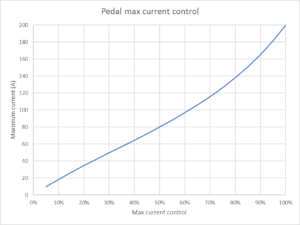 add a ‘maximum current pot’ to the pedal. Above is the wiring of the back of the new pedal connectors. 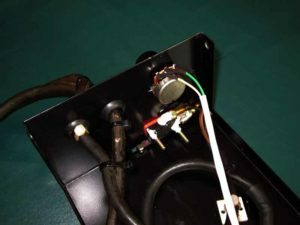 Above is a view of the new connector panel in place, the 2 pin plug on the left is the TIG torch. 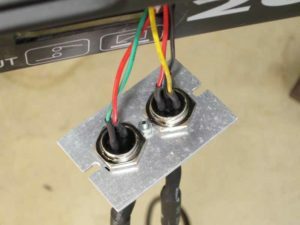 The current control of the pedal plugs into the right hand 3 pin connector, and either the pedal’s switch or handpiece switch can be plugged into the left hand 2 pin connector to suit the operator / job etc. 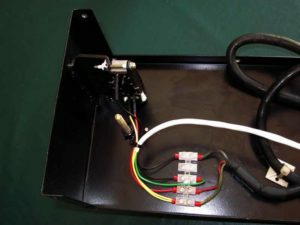 Above, a terminal strip was added to facilitate wiring the maximum current control. At the top left is the pot operated by the pedal. 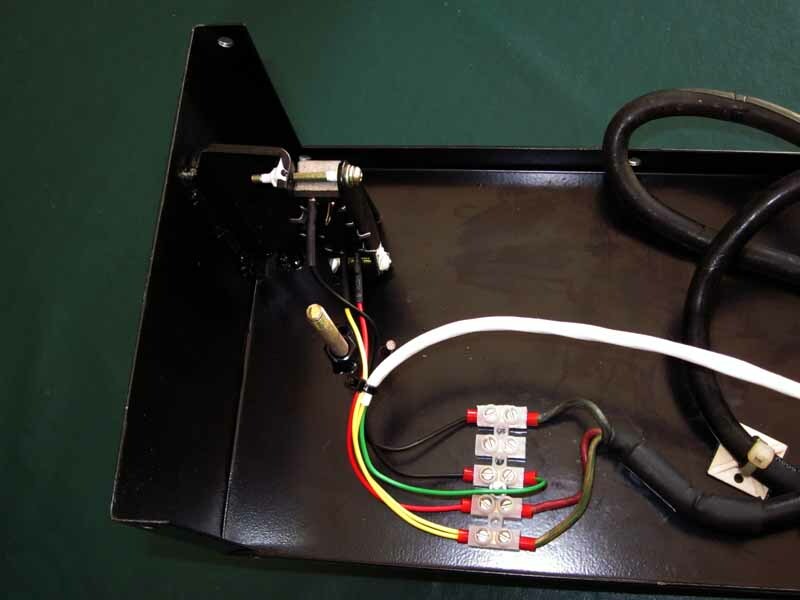 Above is the maximum current pot fitted on the front panel of the pedal. 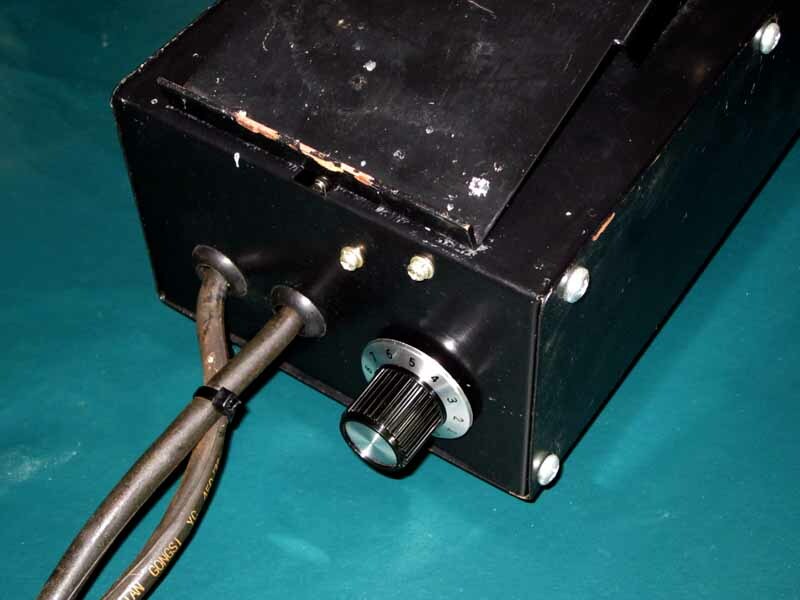 Above, a view of the maximum current pot with knob skirt marked 0-10. 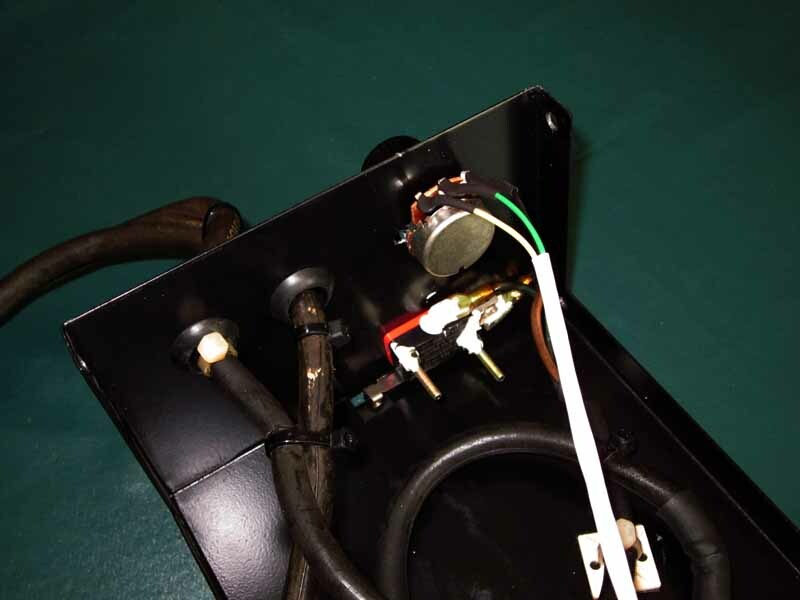 In use, you press the pedal fully down and adjust the pot for the desired maximum current shown on the welder display. This works a treat, if you are welding something light at 10A, the pedal is not sudden death that results in a hole blown in the workpiece. 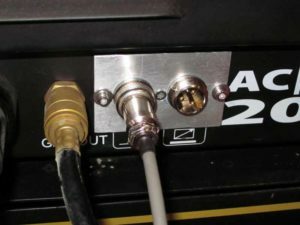 Above is a calibration curve for the max current control. 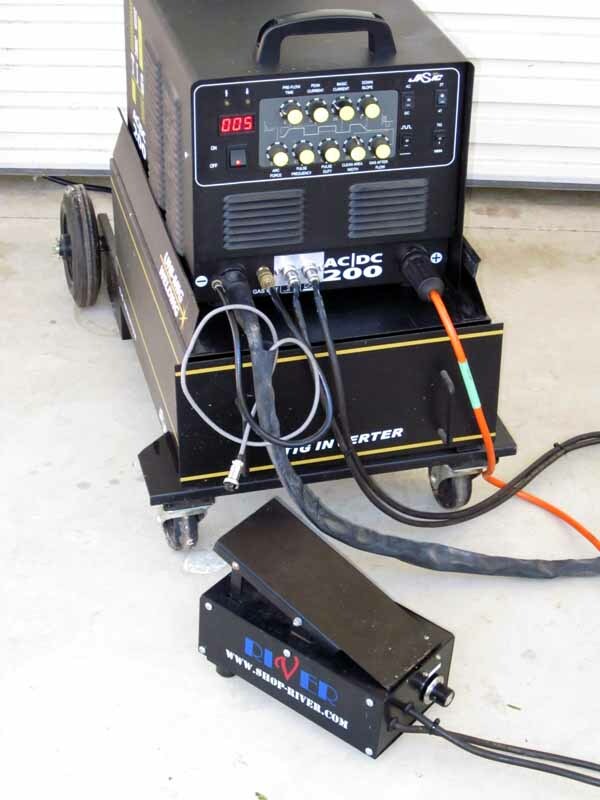 Note that there is no need to put a calibrated scale on the control as the welder’s current meter displays the value set. 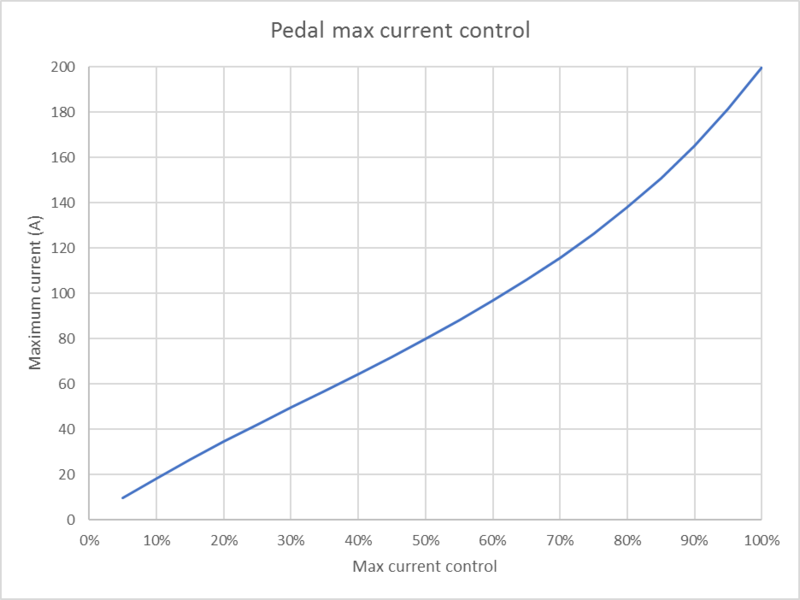 Pedal down, adjust the max current control on the pedal for the desired max on the meter and release the pedal… all done. Some of the new welders use a Foster 7 pin connector which has trigger switch and pot connections, and two wires used for a jumper presumably to indicate the presence of the pedal. The Jasic 200 senses the pedal as wired above, presumably from the presence of the pot. The completed work is shown in the first pic above.